Professional Set of massage table sized Amethyst Biomat 7000mx with the Quantum Energy Pad. The combo for pure comfort and optimized negative ion and far infrared emission. Are you a health professional, veteran, or first responder applying for the $100 discount? Professional Set of massage table sized Amethyst Biomat 7000mx with the Quantum Energy Pad. New and improved Biomat with Quantum Energy layer containing powder of peach and grape seed extractions. Combined with the Quantum Energy Pad, the Biomat’s power is boosted with more negative ions and far infrared, plus it adds a cushion layer. Comes with purple hard case rolling suitcase for easy transport! TOCA layer (tourmaline catch power) that provides strong negative ions and Place on the floor, in your bed, or on a massage table. Comes with Amethyst Biomat Professional, Quantum Energy Pad, purple suitcase, cotton pad cover, digital controller, and Biomat Health User Guide. Dimensions: 78.74" x 39.37" x 1.57"
Dimensions: 78.74" x 59.06" x 1.57"
Dimensions: 78.74" x 70.86" x 1.57"
Controller Features: It has the most advanced I.C. chip which cuts off electromagnetic waves. It is a control system with many convenient functions.Temperature up/down buttons on a touch screen controls the temperature of the BioMat. You will see the lights move up or down on the indicator screen. Electronic Interception Light (Electromagnetic): Lights up to indicate the active blocking of harmful electromagnetic waves. Turns off or stays off if there are no electromagnetic waves to block. Amethyst:Amethystis believed to have physical, spiritual, calming, and zodiacal powers that can be used for pain, stress, and depression. It has come to be known as a power crystal with prolific healing powers characterized as purifying, pacifying, and transitional. It can transform lower energies into higher ones, and acts as a healer of all of levels of mind, body, and spirit. There are numerous ways to incorporate amethyst into a healing practice. 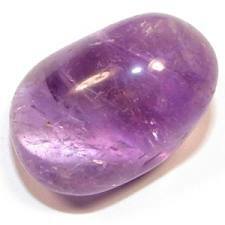 Amethyst is identified as a crystal that functions favorably in clearing blockages and aligning the chakras. It also has the ability to stabilize energies located within certain areas.Amethyst contains sobering and calming qualities. This stone is commonly associated with peace. It calms and protects the mind. It can be soothing to people engaged in rigorous mental activity. It is also known to enhance mental strength, stability, and vigor. All items are shipped individually. Deliveries cannot be made to APO/FPO/PO Box addresses. Once your item has shipped, you will receive the UPS tracking information via email. For US customers only, you have the option to expedite your order for an extra fee. These orders are given top priority. Expedited orders for items that are in stock are usually shipped within 24 hours of credit card settlement excluding weekends and holidays. Biomat 7000MX (all sizes),Biobelt 7000MX, Amethyst Pillow, Quantum Energy Pad, Quantum Energy Comforter, Alkal-Life 7000SL, Rejuvena 7000. Once payment is received, you may cancel your sales transaction without any penalty within 7 days after receipt of the products for a full refund or exchange. All returned merchandise must be in original factory condition, including all packaging materials, inserts and manuals, and all accessories. If you decide to return the product, please call us and we will walk you through the return process.